Sea Squirts Hi Bob - I was wondering if there was any truth to this quote a friend of mine sent. 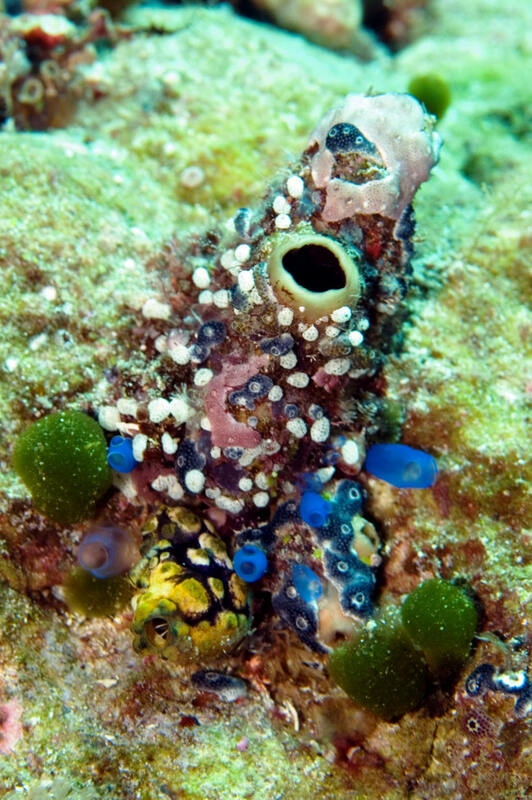 Do some sea squirts actually eat their brain once they've attached themselves to the rock? If you have web links to the info that would be great. Thanks John <Interesting thought... Don't know re their brains, but much of the body of metamorphosing ascidians does indeed change in unfolding into a sedentary life form from a free-swimming "tadpole" younger phase. Bob Fenner> > Hey John, is there any way you could find out something for me about the "juvenile sea squirt". I have this quote: > From Consciousness Explained by Daniel C. Dennett (Little, Brown and Company, Boston, 1991): > The juvenile sea squirt wanders through the sea searching for a suitable rock or hunk of coral to cling to and make its home for life. For this task it has a rudimentary nervous system. When it finds it's spot and takes root, it doesn't need its brain any more so it eats it. It's rather like getting tenure. > In a footnote, Dennett writes: > The analogy between the sea squirt and the associate professor was first pointed out, I think, by the neuroscientist Rodolfo Llin¡s. > K.